Continually adjust your spacing so that you maintain equal distance from those in front of you, beside you and behind you. Align yourself with the dancers directly beside you to form a line (at your teacher’s discretion). 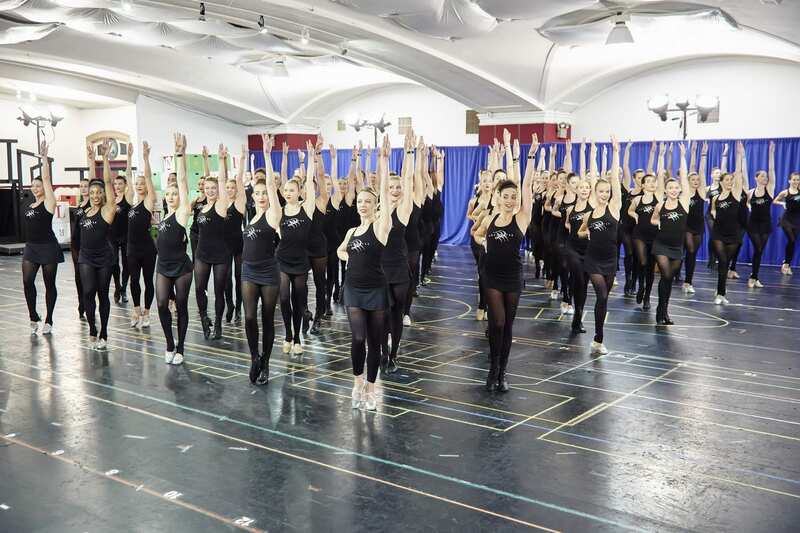 If the class is large for the room, move one or two steps forward of the dancers next to you. If you are in front, move forward as much as possible, and leave plenty of room between those beside you so that those behind you have space to place themselves. If you are in back, it is your responsibility to adjust your spacing so that you can see and be seen. Place yourself so that you are always standing in a “window” between two dancers in front of you. When traveling directly across the floor, stay within your own “lane” just as you would in driving or swimming. When traveling on a diagonal, stagger yourself within your group as you would in the center and steer yourself along your own diagonal pathway. The only person who dances directly toward the corner of the room is the one who starts in the corner of the room. When changing directions in a progression across the floor, be sure to move together. Your path should never cross that of another dancer but should be relative to where the group is heading and the path others around you are taking. Your tempo and timing are also important. Don’t just stop in place when you are finished with a combination—exit the dance floor immediately. Even after you’ve reached your designated exit point, keep moving. Others need to exit after you. Crossing the path of other dancers while entering or exiting is a sure way to get kicked. Always exit away from where the action is or will be. Generally, if you are crossing center stage to exit, you are going the wrong way.